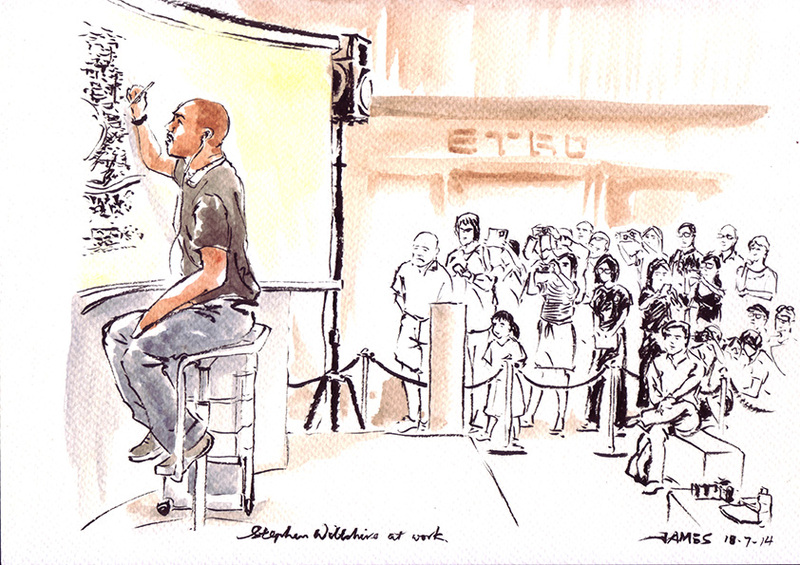 Stephen Wiltshire, the artist with photographic memory, is in Singapore. He is reproducing in detail all the buildings and roads he saw during his short flight above the urban landscape of Singapore. 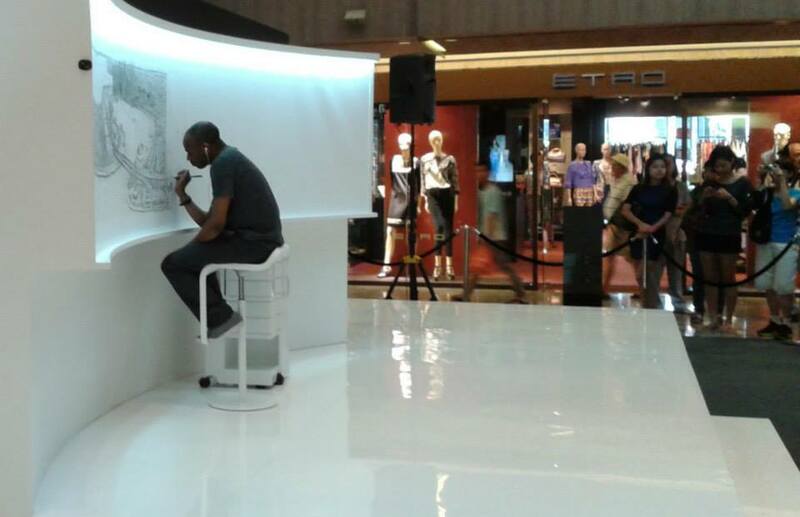 He stations at Paragon shopping mall from July 16 to 20 to draw the Singapore skyline on a four metre by one metre canvas. The public can watch him work at the mall’s atrium from 10am to 5pm daily, with one-hour breaks at 1.30pm. Here he is busy enjoying himself with a huge crowd of spectators. Courtesy of JF Koh. 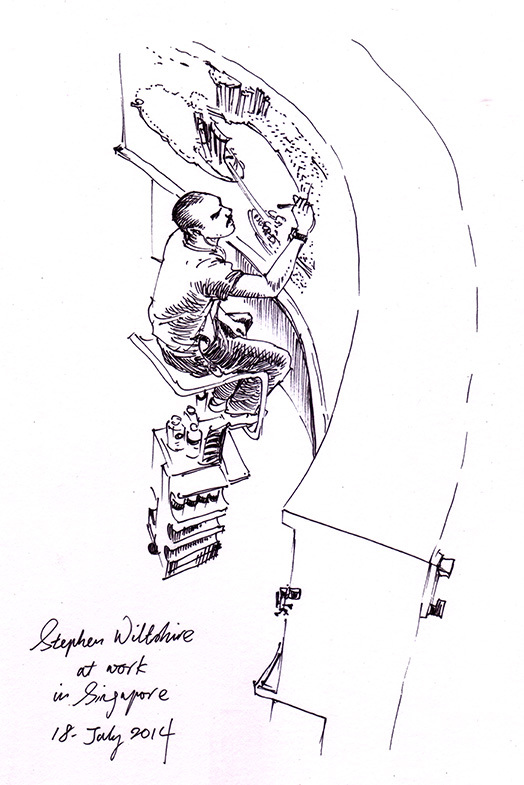 A little warm up sketch of Stephen WIltshire. More warm up sketches. Managed to catch a glimpse of him thinking while looking up on bottom right sketch. Attempted to do a panoramic sketch of Stephen and the crowd but fatigue got a hold of me. So I settled with this. This has been a wonderful event. 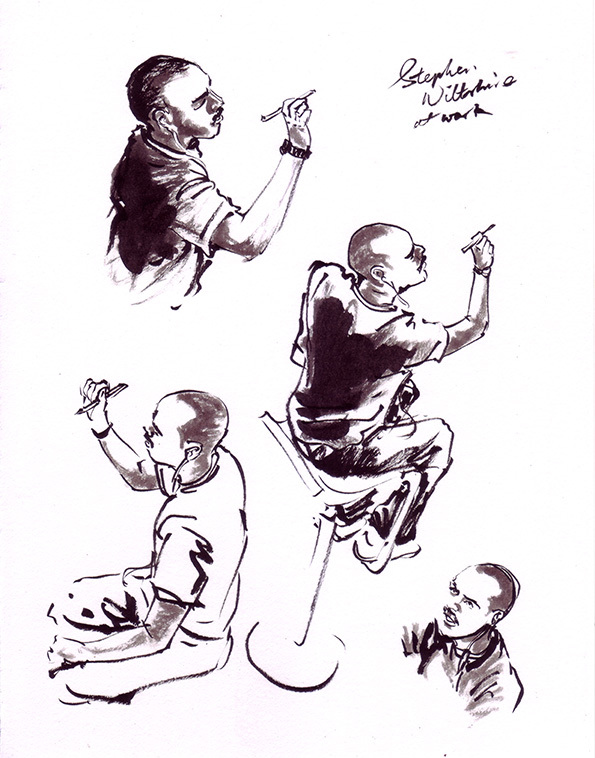 Watching the amazing young man drawing ‘live’ while I captured him ‘live’ on my papers. It was such a delightful moment.